Choose from thousands of design options to make each card uniquely your own. With 9 options ranging from 3.5 x 5” to 8 x 4”, square corner cards can be designed and printed on both sides. Rounded corners add a touch of flair to your flat cards. Designed and printed on both sides, with 7 options ranging from 4 x 6” to 8 x 4”. Add a bit of fun to your 5x7 cards with scallop-style corners. Double rounded cards can be designed and printed on both sides. 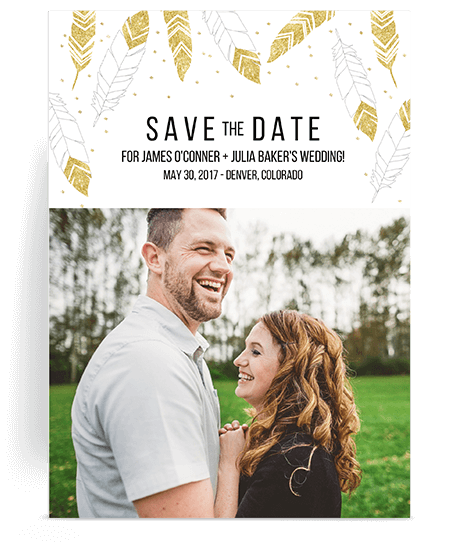 A classic design to match your unique event, ticket corner cards are available for 5x7 cards and can be designed and printed on both sides. Make an elegant statement with a whimsical crest-style card that can be designed and printed on both sides for 5x7 cards. Dramatic and luxurious, the vintage crest design adds a bold touch to your 5x7 card and can be designed and printed on both sides. Your occasion is special, your card should be too. You have complete freedom to change anything in our designs and turn them into masterpieces that tell your story. Move, scale, and rotate any element. Swap out or add design elements. You can even upload your own designs! of our stickers to make a truly unique card. 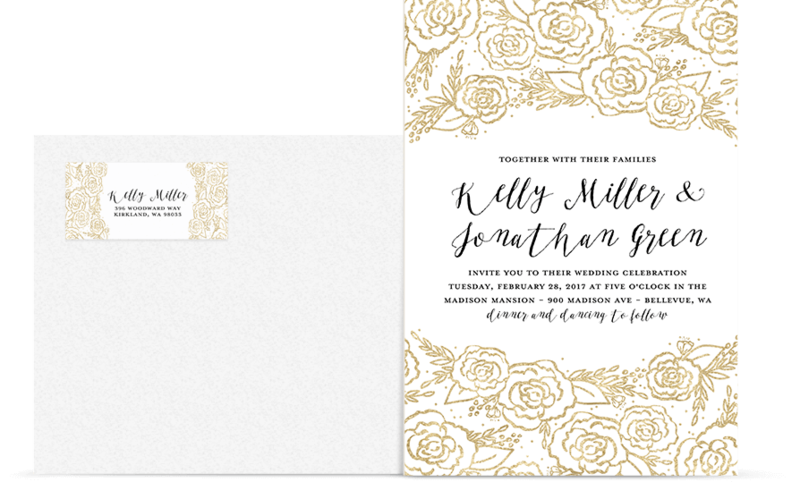 Premium white envelopes are included with every card. If you are unsatisfied with your order for any reason, you may return it at any time. …And They’re Pretty Excited About Us Too! I love Mixbook! 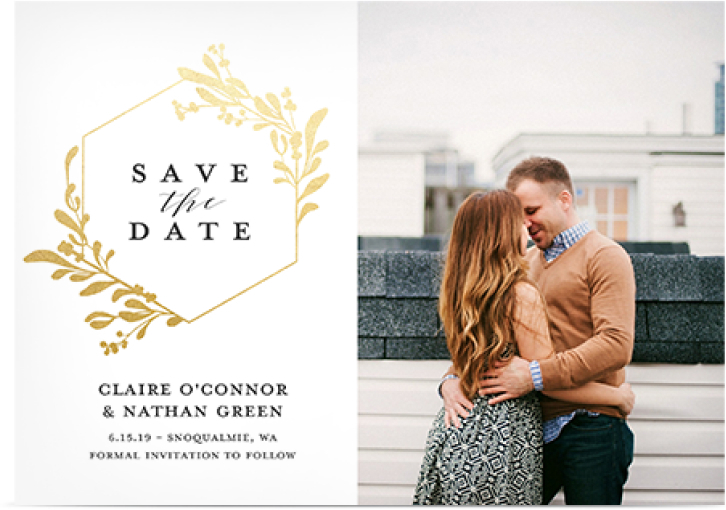 Just did an invitation and it came out beautiful! The flexibility is so great. I had fun working with the backgrounds, and adding text. It is so easy to use. I will be ordering from Mixbook in the future. Great product! 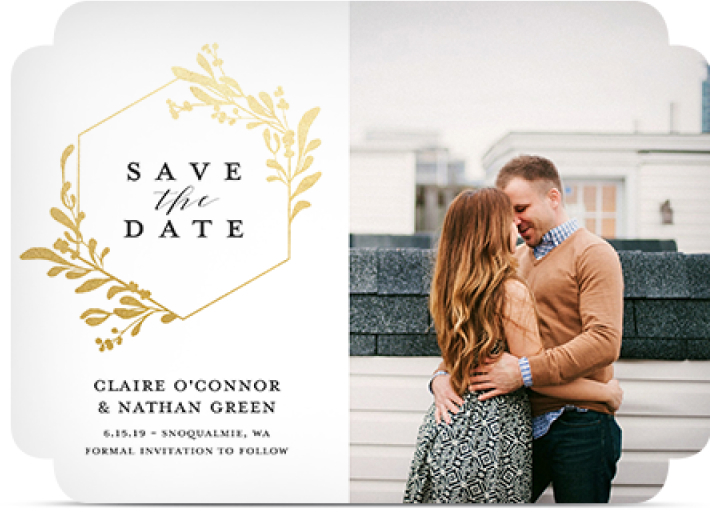 I got my Invites and RSVP's and I love them, great quality and great prices. I just received my wedding invitations! Absolutely Love them! They looked exactly like the picture when I was designing them! Thank you Mixbook!! Yall are amazing!! I was amazed when I first logged on and was able to design my own card. Not some generic card that everybody can just pick. I didn't find this kind of selection on any other website. Thx @Mixbook love my cards!!! Could not be more thrilled with the quality of my custom wedding 'Thank You cards' from @Mixbook!! @Mixbook luvin' our #xmas2015 cards - thanks for a great online experience! Something extra for your stunning cards. A beautiful addition to your kitchen fridge. Design a personalized photo card or custom invitation for all the events and holidays in your life. Make a unique birthday invitation for your child’s upcoming party, or choose from our exquisite collection of designs for the perfect holiday card or bridal shower invitation. Whether you need graduation announcements, New Year’s cards, baby shower invitations, or baby birth announcements, we have you covered. Our carefully crafted designs will make your card creation process even more effortless and stress-free. Our guest designers include Amy Tangerine, Studio Calico, Molly Madfis, and many more. From boho chic to modern and contemporary, we have most every custom card design and theme that you can imagine. 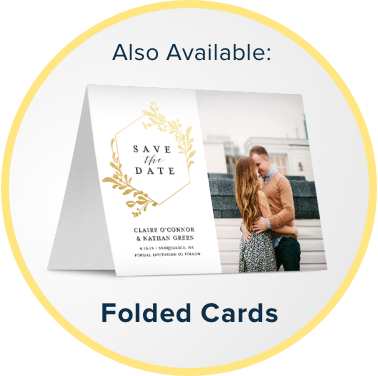 We have a wide selection of folded card sizes and all of our flat cards are double sided so you can have designs on both the front and the back of the card. Select rounded corners on the flat cards for an added touch of class. Choose from a variety of paper qualities too - from our durable Satin Finish cards to our professional looking Signature Matte for everyday style, you’ll love the look of your custom card. Or, choose our premium finish for the highest quality cards that will be sure to be remembered. Making a custom photo card is easy and hassle-free using our online editor. Quickly upload your photos and place into one of our professionally designed cards and you’re ready to go. Add a personalized message, choose a different background, or explore our selection of stickers for some added flair. Have a one-of-a-kind event coming up or a very specific look in mind? We have a blank card option available allowing you to start from scratch and create a photo card or invitation that is perfect for the occasion and totally your own. It’s easy to choose the background, text, fonts and sizes, photo placement and add stickers to create the card of your dreams. You can even upload your own icons, logos and stickers! 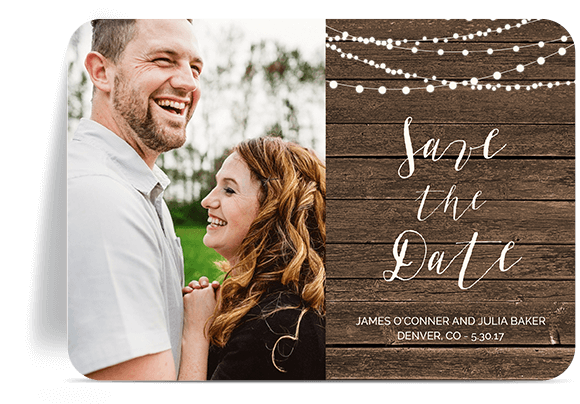 With all these options, you will be sure to find or create a photo card theme that best suits your needs and style. Don’t forget to throw in matching address labels to complete your entire package. 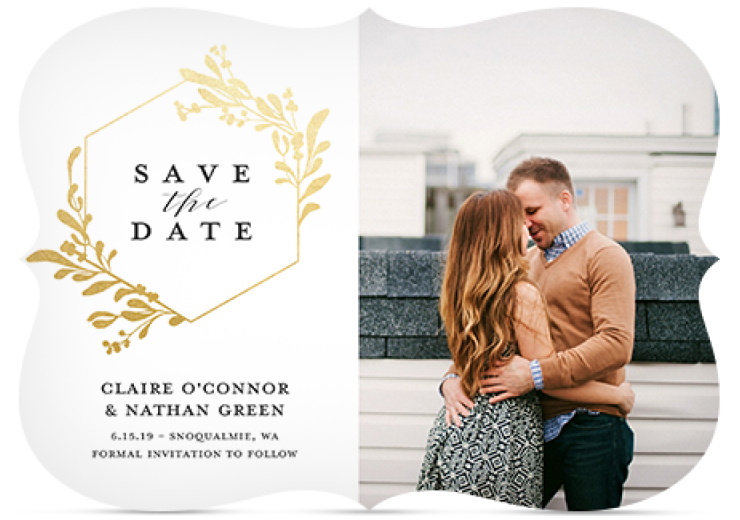 Browse our photo cards and get started on your custom photo card or personalized invitation today!